The parish of Sutton-under-Brailes, with a population of less than 100, is separated from the centre of Stourton by just a couple of fields. 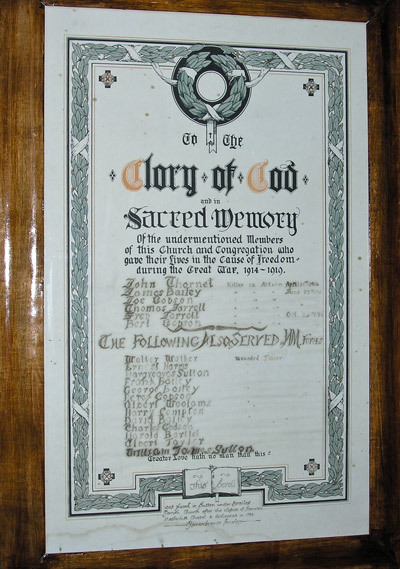 After the Wesleyan Methodist chapel at Stourton was closed (it was later converted into a private dwelling), the memorial to members of its congregation was taken to the Parish Church of St Thomas à Becket at Sutton. This relocation in 1986 may seem a little surprising in view of the fact that only four of the nineteen men on the chapel memorial were from Sutton families. 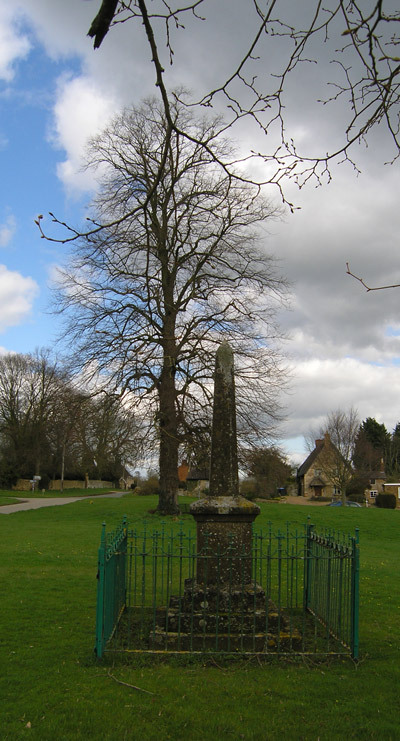 A stone memorial was also erected on the village green to two soldiers who died for their country. 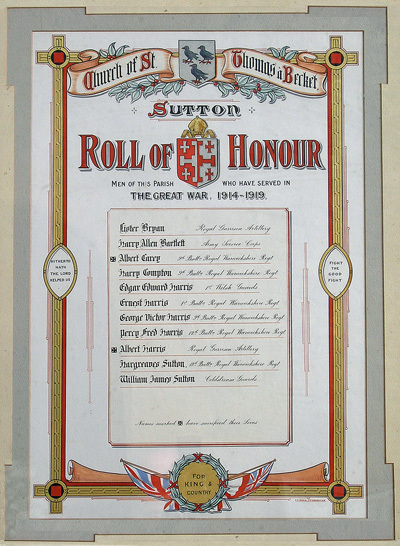 A further Roll of Honour exists in Sutton Church. Lance Corporal 12897, 9th Battalion, Warwickshire Regiment. Killed in action in Mesopotamia Wednesday 5 April 1916. Aged 25. Born and resident Sutton-Under-Brailes, enlisted Warwick. No known grave. Commemorated on Basra Memorial, Iraq. Panel 9. 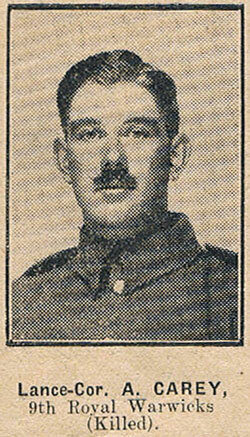 Portrait from the Evesham Journal and Four Shires Advertiser, 27 May 1916. Gunner 110127, 227th Siege Battery, Royal Garrison Artillery. Killed in action Monday 2 July 917. Aged 35. Born Sutton, Warwickshire, enlisted Straford-on-Avon, resident Banbury, Oxfordshire. Son of Thomas & Ann (née Nason) of Sutton. Husband of Amelia Harris (née Pratt?) of Sutton. Buried in Strand Military Cemetery, Comines-Warneton, Hainaut, Belgium. HARRIS George Victor 9th Battalion, Royal Warwickshire Regiment. HARRIS Percy Fred 12th Battalion, Royal Warwickshire Regiment.